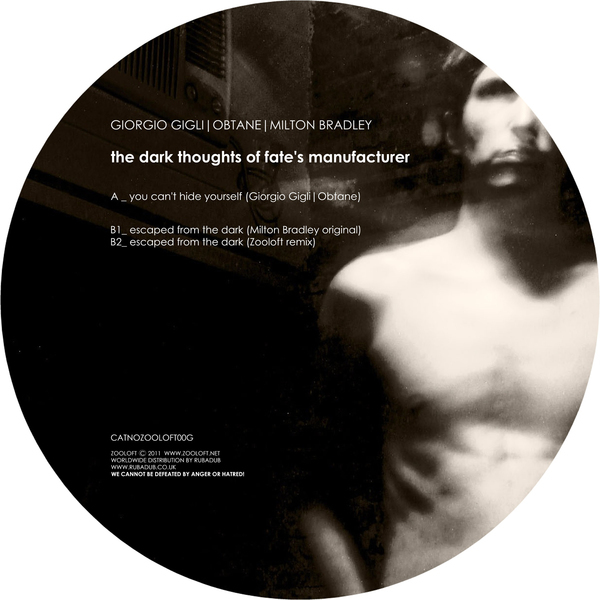 Pure and refined Techno transmission from Italians Giorgio Gigli and Obtane, plus an especially sludgy remix by Milton Bradley. Gigli and Obtane steer a linear tract of thudding kicks on the longer A-side 'You Can't Hide Yourself', applying minimal dub techniques and droning synths to entrancing effect made for endless sessions. 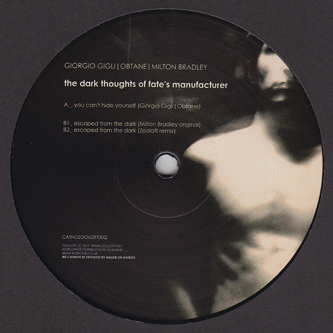 This isn't so much Techno that you dance to, but more let yourself be pummelled and swayed by the sheer physicality and hypnotic inertia. Milton Bradley aka The End of All Existence and head of Do Not Resist The Beat! 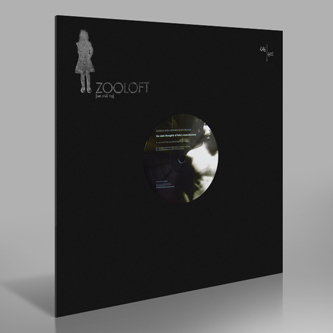 follows his Zooloft remix appearance on 'Psychological Scene Of The Imagination' with an original production 'Escaped From The Dark', a sub-120bpm flow of aqua-rolled bass and looming Techno Dub apparitions, followed by Zooloft's own beatless remake.